Enjoy children's theater in PA that will please all your young ones. Find the best places to see children's plays in PA.
"Spreading the Seeds of Imagination" in Children throughout PA! Apple Hill Playhouse is home to the Johnny Appleseed Children's Theatre, known for "spreading the seeds of imagination" in children of all ages. Past performances have included Beauty and the Lonely Beast, Dorothy and the Wizard of Oz, and Snow White and the Seven Dwarfs. Kids ages 6-12 can participate in Let's Make a Show--a class that uses age-appropriate musical scripts to help your children develop their acting, singing, and dancing skills. 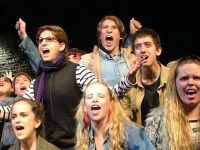 Check the website to keep up to date with Johnny Appleseed's youth audition schedule. 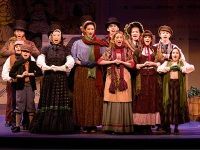 Some of the Best Children's Musical Theater in PA! Storybook Musical Theatre is a non-profit organization dedicated to providing children of all backgrounds with an opportunity to experience quality musical theater. Children and their families can develop a life-long appreciation of musical theater through original adaptations of folk tales and children's literature. For over 20 years, Storybook has been entertaining children throughout the Philadelphia and Delaware Valley region. The theater offers classes for children ages 5-10. Space is limited, so be sure to register early! A Fantastic Children's Theater in Pittsburgh! 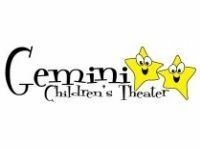 Gemini Children's Theater in Pittsburgh effectively cultivates creativity, imagination, and originality in children through the magic of the performing arts. Established in 1996, the non-profit children's theater occupies 6,385 square feet of space with a 100-seat black box theater, two rehearsal studio spaces, a box office, concession, and lobby areas. The PA children's theater company has grown significantly over the years, now offering numerous fun and exciting programs for children and adults. As of today, Gemini has produced over 60 children's plays, 18 full-length plays, and hosted space for 20 developing theater companies. The theater is continually supported by many local businesses, as well as generous donors in the community. 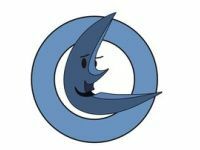 A Great Children's Theater in PA for Kids of All Ages! 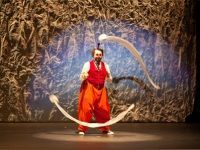 The Pittsburgh International Children's Theater sponsors, presents, promotes, and premieres all sorts of international, national, and regional shows for the cultural enrichment of children and families. Since it's a wonderful field trip destination, the theater allows groups of 10 or more to enjoy great discounts. Every May, the theater hosts the International Children's Festival. In October through March, the theater produces a Family Series of performances that are held at various locations throughout the Pittsburgh area. Check the website for a list of upcoming events that your kids will love. An Acclaimed Children's Theater in Pennsylvania! Arden Theater Company brings to life great stories by great storytellers on stage, in classrooms, and throughout the community. Enjoy a wide range of stories in styles such as contemporary, epic, fiction, nonfiction, musical, and dramatic. The full-service, professional regional theater produces theatrical and educational productions of the highest quality. The roster of enjoyable, fun-filled children's plays has included Charlotte's Web and Robin Hood. Browse the website to find info about subscribing for the lowest prices and the best seats. Enjoy the Best Food and the Best Theater in PA! 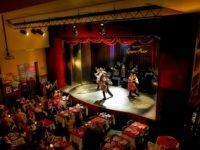 The Dutch Apple Dinner Theatre consistently produces top-quality productions, as well as award-winning food and great service to over 150,000 guests each year! Located in the heart of Amish Country, the theater seats 380 people and possesses a sophisticated charm not found in most other theaters. Once you step into the Dutch Apple, you'll be led to a hearty buffet. Following your bountiful meal, you can sit back and relax as you take in some of the most fun children's plays in Pennsylvania. The theater's decor is spectacular and you'll be treated to an unobstructed view of the stage. "Simply the Best" Children's Entertainment in PA! Since 1993, Popcorn Hat Players Children's Theatre has been entertaining children and families alike with lively productions of fairy tales, folk tales, and fables. 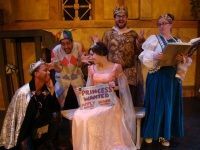 Utilizing creative comedy and improvisation, the theater company breathes new life into classic stories with its amusing adaptations. 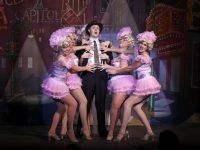 The Players present eight maintstage productions yearly at the Gamut Classic Theatre, as well as four productions on the road at rural areas and inner-city venues. 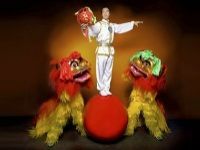 They've garnered the acclaim of "Simply the Best" children's entertainment by readers of Harrisburg magazine. 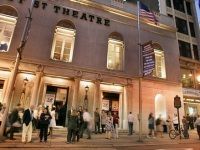 It's no wonder over 10,000 people flock to the Gamut Theatre each year to view the Players' gloriously fun productions! The Most Fun and Interactive Children's Plays in PA! The Hedgerow Theatre is home to the renowned Children's Series, featuring shows that will bring smiles to every child's face. All interactive shows include music and audience participation. Let your children greet their favorite characters, and enjoy juice and cookies in the lobby after the show! Within the 132-seat venue, you're guaranteed an intimate theater experience. The PA children's theater also offers educational programs for budding performers of all ages, including Hedgerow's highly-rated Summer Theater Camp. Bringing Quality Theater to Bucks County for Over 60 Years! Town and Country Players is a non-profit community theater that has been delighting Bucks County residents with quality theater for over 60 years. Membership is open anybody who's interested in theater or is willing to help. The theater company presents all sorts of fun family and children's productions. Past productions have included Annie, Little Women, Joseph and the Amazing Technicolor Dreamcoat, Seussical the Musical, Oliver! ; The Lion, the Witch, and the Wardrobe; Beauty and the Beast, and Hansel and Gretel. Expanding Young Minds through the Art of Theater! 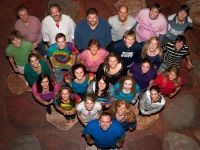 Founded in 1997, DreamWrights Youth & Family Theatre allows families to work together on all aspects of theater production. The Pennsylvania theater company has grown tremendously throughout the years, making it one of the go-to places in York for people of all ages to unite and grow in a positive environment. DreamWrights is effective at expanding the minds and creativity of children through classes, summer camps, workshops, production camps, and scout badge programs. Check the website for a list of exciting upcoming events. One of the Best Children's Theater Companies in PA! MacGuffin Theatre & Film Company provides a perfect outlet for young people to experience the process of acting in theater and film, by allowing them to perform original and adapted works that speak to issues affecting the community. The PA children's theatre company creates a supportive environment where students can better discover their identities, gain self-confidence, and become advocates of the arts. The theater regularly hosts free productions for youth actors between the ages of 4 and 18. Over time, MacGuffin has encouraged and inspired over 1,500 young people from varying ethnic groups and economic levels. Check the website for the theater and film class schedule. Beginners are always welcome! Fun and Educational Children's Theater in Philly! The University of Pennsylvania is home to the Stimulus Children's Theater--the only children-oriented theater group on campus. The actors perform for elementary schools, community centers, daycare centers, hospitals, and elderly care facilities throughout the area. The theater was founded in 1988 by UPenn students, all of whom were dedicated to bringing the magic of theater to the children of Philly. Past shows have included Cinderella, Sleeping Beauty with a Twist, and Charlotte's Web. All shows are intended to help children find their special purposes in life or discover what they'd like to be when they grow up. Behold Classic Children's Stories as they Come to Life! 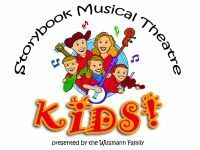 Walnut Street's Theatre for Kids allows children in grades K-6 to watch beloved children's tales come to life on stage! Watch entertaining musical adaptations of well-known family classics. Shows include Charles Dickens' A Christmas Carol, Skippyjon Jones, and Madeline and the Bad Hat. Are you looking for a fun and informative camp to enroll your kids in the upcoming summer? Camp Walnut is Philadelphia's most popular theater camp, providing an excellent learning environment for kids 8-18. The 4-week program consists of workshops, classes, and performances. The Gem of Downtown Carlisle! Referred to as "the gem of downtown" since 1939, the historic Carlisle Theater presents musical concerts, quality films, live theater, and all sorts of programming for children and families. The Carlisle delivers such amazing children's productions as Seussical, Oliver, Disney's Beauty and the Beast, Willy Wonka Junior, Alice in Wonderland Junior, and Annie. 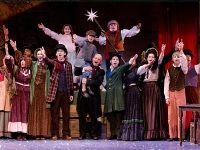 Carlisle's theater company is an all-age community theater group, dedicated to providing the community with high-quality theatrical performances as well as multiple opportunities for actors, musicians, and backstage personnel of all ages. Check the website regularly to keep up to date with fun upcoming shows and events. The Shawnee Playhouse is home to the talented Shawnee Players, consisting primarily of local actors and actresses. The venue allows you to enjoy affordable, professional-quality, year-round entertainment in a historic, yet cozy setting. The roster of family-friendly plays includes Home for Christmas, A Christmas Wizard of Oz, The Nutcracker Ballet, A Christmas Carol, and Thoroughly Modern Millie the Musical. Whether you're seeking rousing children's musical theater in Pennsylvania, hilarious comedy, groundbreaking drama, or other entertaining performances--stop by The Shawnee Playhouse today! A Lovely Children's Theatre in PA! 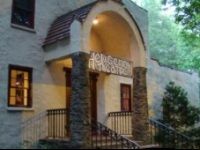 Celebrating over 100 years in community theater, The Players Club of Swarthmore produces seven mainstage shows per year in its 300-seat theater. PCS also presents more avant-garde productions in its 80-seat black box theater. Your kids will cherish the theater's handsome produced children's plays like A Charlie Brown Christmas, Aladdin and the Wonderful Lamp, Alice in Wonderland, Hansel and Gretel, Jack and the Beanstalk, Sleeping Beauty, and Rapunzel. The theater is ideal for birthdays, with PCS' remarkable birthday party packages. After the show, the kids can enjoy cupcakes and a special meet-and-greet with the characters on stage! One of the Top Children's Theatre Companies in PA! 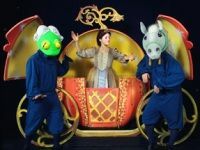 A renowned non-profit arts organization in Philly, the Enchantment Theater Company has wowed audiences of all ages with original productions based on classic stories from children's literature. Enchantment incorporates a signature blend of masked actors, magic, pantomime, puppets, and lively music into its elaborate productions. The Philadelphia children's theater company has toured all over the world, appearing in about 30-40 states yearly. Enchantment's works have been showcased at such sophisticated venues as New York's Lincoln Center, Washington's John F. Kennedy Center, and Philadelphia's Kimmel Center. 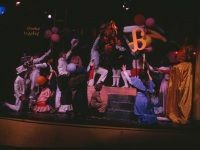 Past children's productions have included Beauty and the Beast, The Snow Queen, Pinocchio, and Cinderella. 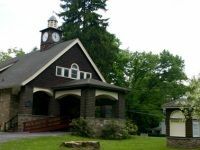 A Spectacular Children's Theatre in Pennsylvania! The Throughline Theatre Company proudly houses the Open Book Children's Theatre, bringing adapted classic children's stories to life at the Seton Center in Pittsburgh. The small troupe of trained, professional actors charms its young audiences with creative sets, colorful costumes, and outrageous characters. The witty adaptations of classic tales include Jill and the Beanstalk, The Three Billy Goat's Gruff, and Grammy and the Butternut Squash. If you're in the Pittsburgh area and interested in bringing one of the wonderful shows to your venue; please contact the theater's director, Briana Tierno, at btierno@throughlinetheatre.org. Educating Young Artists throughout Bucks County! Situated in Central Bucks County, the Theatre Arts Center has grown to include a large array of theatre and dance classes, a summer performing arts workshop, and the best in children's theatre. Students from the Theatre Arts Center perform throughout the year at special events and concerts. Alumni have gone on to work in Broadway, commercials, TV, and film. Past seasons have included such beautiful productions as Annie Jr., Fame Jr., Frog & Toad Kids, and Disney's Alice in Wonderland. 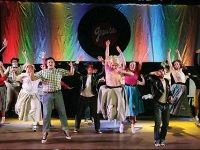 Celebrating over 25 years in educating young artists throughout Bucks County, the center offers classes in acting, vocal performance, video dance, Zumba, and musical theatre. View Children's Plays and Other Dazzling Artistic Works in PA! At the Dietrich Children's Theatre in Tunkhannock, PA; you and your little ones can enjoy such delightful plays as Why Mosquitoes Buzz in People's Ears--A West African Tale, Lon Po Po: A Red Riding Hood Story from China, The Gingerbread Man, and Peter and the Wolf. 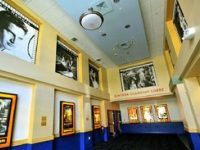 In addition to crowd-pleasing children's theater in Pennsylvania, The Dietrich continuously showcases blockbuster, foreign, independent, and classic films. The historic theater is a pillar of Pennsylvania's artistic community with over 100 cultural events, concerts, and workshops. The semi-annual film festivals have brought in audiences from all over Northeastern PA. You can even view dazzling works of art in the William Norris Earnshaw Gallery.